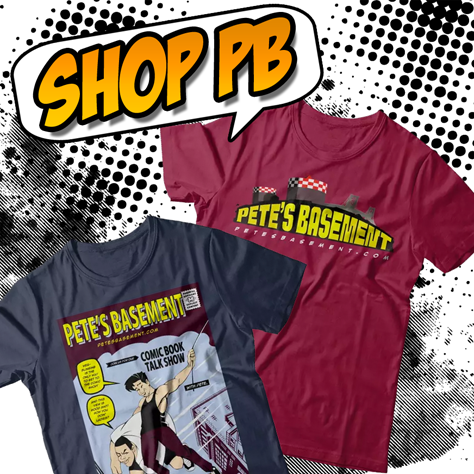 Pete's buddy Rocco joins the roundtable for the very first time! It's a special Questions & Answers episode this week, as the boys tackle such riveting topics as DC's Dark Nights: The Metal, Doomsday Clock, the tastiest fictional food items, favorite Mel Brooks movies, and lots lots more! We've got a n Atomic Blonde review, and Rocco talks about his YouTube series Nightwing: Escalation, and what got him into cosplaying Deadshot. 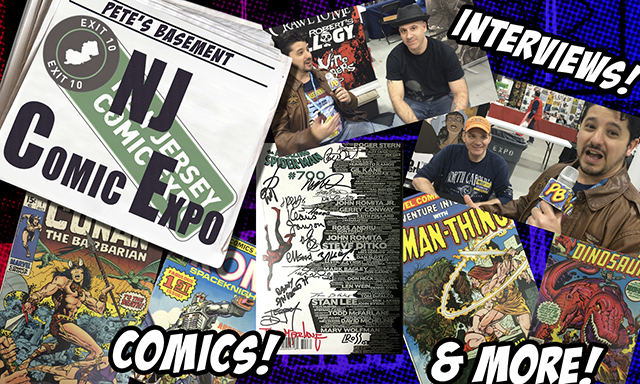 Our New York Comic Con giveaway continues on this fully loaded episode of Pete's Basement! Suicide Squad review is up at bat! The Fallen gets high marks! Zendaya to play Mary Jane? Our buddy AGE drops by to giveaway some of his amazing pin-up art. Rich and Trish sit in as well to show off the final issue in Rich's Amazing Spider-Man collection! All this and cluster-bombs going off from The Shadow! Drop the kids off at the pool, and tune in!